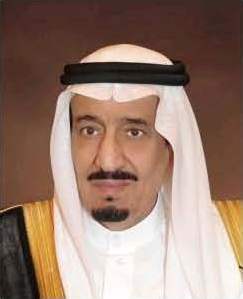 His Royal Highness Custodian of the Two Holy Mosques King Salman bin Abdulaziz was designated Crown Prince of the Kingdom of Saudi Arabia, and appointed Deputy Prime Minister, by King Abdullah bin Abdulaziz on June 18, 2012, upon the death of Crown Prince Nayef bin Abdulaziz. Prince Salman also serves as Minister of Defense. Prince Salman was born in Riyadh on Dec. 31, 1935, and received his education at the Prince’s School in Riyadh. He served as Deputy Governor of Riyadh from March 1954 to April 1955, and Governor of Riyadh from April 1955 to December 1960 and again from February 1963 to Nov. 5, 2011, when he was appointed Minister of Defense. During official visits to the United States in April 2012, Prince Salman met with President Barack Obama and a number of U.S. officials.